First introduced in 1966, the Chevrolet Camaro has been the definition of the American sports car for decades. While originally designed to compete with the Ford Mustang, over the years the Camaro has established its own identity and defined itself as speed personified. Although production of the Camaro initially ended in 2002, it was revived in 2009 and the 2019 Chevy Camaro redefines power, performance, and luxury, with numerous models and options for even the most discerning of sports car aficionados. And as 2018 draws to an end, there has never been a better time to start looking ahead at 2019 and the cars that will own the road in the year ahead. At Carl Black Nashville, we understand Camaro-lovers, and we know that nothing can match the feel of shifting gears onto an open road and hearing the engine purr. The beauty and luxury offered by the 2019 Chevy Camaro is the perfect fit for any sports-car lover looking for a new ride. With numerous models and options available, there’s a Camaro for anyone who wants to feel the freedom and power of the road under your tires. But don’t just take our word for it, have a look at what Chevrolet has put together and see the new face of luxury sports car performance. Camaros have always had power and sleek designs, but it’s the 21st Century and that means you want the newest and best technology inside your car. The 2019 Chevy Camaro has a standard 7-inch touchscreen display for navigation and entertainment features, with an 8-inch screen available. It is compatible with both Apple CarPlay and Android Auto, so no matter what kind of tech you prefer, you’re covered. The new Camaro includes a built-in 4G LTE Wi-Fi hotspot, which is ideal for checking on traffic, finding directions, or streaming your favorite music. Certain models include the new Rear Camera Mirror standard, which offers a clear view behind the Camaro in real-time on the mirror display. This lets you see what’s behind you better than standard rearview mirrors. But you can seamlessly switch the display to a traditional inside rearview mirror if needed, giving you the best of both options. There’s a Drive Mode selector that lets you quickly and easily choose between different vehicle settings and characteristics, making it simple to move between highway and city or even track driving. The 2019 Chevy Camaro is loaded with these kinds of options, letting you customize your ride as much as you customize everything else in your life. If that’s not enough, the available Head-Up Display projects data in real time near your line of sight onto the windshield. This includes information like your speed, turn-by-turn directions, and even radio data. The HUD offers three different views so you can pick the placement and style that is best for you. You can even adjust the brightness of the display to make sure it is never a distraction and only a benefit. This lets you monitor your vehicle’s performance without ever taking your eyes off the road. The 2019 Chevy Camaro has a new look and bold sculpt that is striking from the very first moment you see it. This look includes a new hood shape and re-imagined grilles with a large, functional air extractor. Not only does the front of the car look great, but these features help keep it running smoothly and the shape enhances the aerodynamics of the new design. This new design doesn’t just look amazing, it supports the power and performance of your Camaro as you hug every curve. Powerful LED headlamps keep the road beautifully lit all night long, which helps with visibility, not only for you but also for other drivers. The round tail-lamps look great and create a bold rear view that every other driver on the road will remember as you pull away and leave them far behind. Staying visible helps keep you safe on the road, which can help prevent rear-end collisions and other unfortunate situations. Looking forward to beautiful weather? The 2019 Chevy Camaro includes a convertible option that offers the same roof line with a fully automatic soft-top, which disappears beneath a cover at the push of a button. You can do this from within the vehicle while driving up to 30 mph, or even remotely through the key fob, all without sacrificing any of your Camaro’s performance. Plus Chevrolet offers a ton of customization options to make your Camaro truly stand out as yours. These options include lighting and illumination features, various emblems, different tire sizes and styles, signature floor mats, and splash guards that match your color choice. This lets you make your Camaro your own piece of driving heaven. We’re talking about the 2019 Chevy Camaro, which means we’re talking about power and performance. There are four powertrain options to choose from, depending on what you’re looking for, so it’s up to you to decide on how you want to dominate the road. Each of these options is standard for different models, with additional options available, so it’s important to look at each model when considering interior features and power. All of these powertrains include direct injection and variable valve timing to help with fuel efficiency. You can start with a 2.0L Turbo, which offers 275-hp and 295 lb.-ft. of torque, with an estimated 31 MPG highway and 0 to 60 in 5.4 to 5.5 seconds. 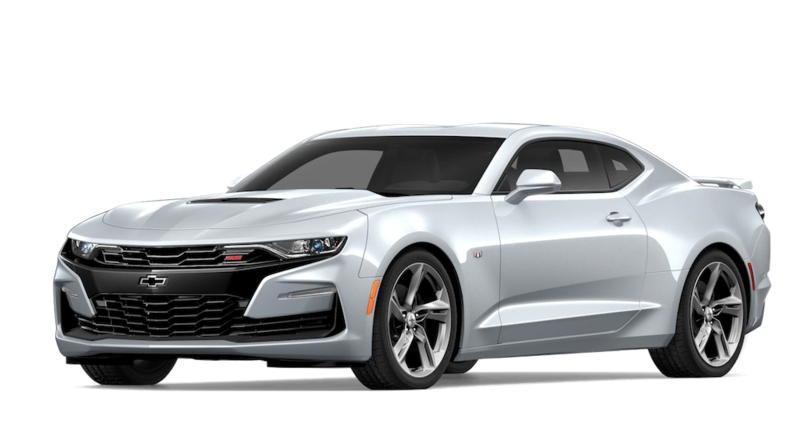 This comes standard in the 2019 Chevy Camaro LS, 1LT, and 2LT and offers a terrific balance of speed, power, and practical gas mileage. If you’re looking for more power, however, then there’s the 3.6L V6 with 335-hp and 284 lb.-ft. of torque, which can go 0 to 60 in 5.1 to 5.2 seconds, which is available in the Camaro 3LT. If you still need more power in your 2019 Chevy Camaro, then there’s the 6.2L LT1 V8, which gives you 455-hp and 455 lb.-ft. of torque. This beast comes standard on the Camaro SS, has an available 10-speed paddle-shift automatic transmission, and can go from 0 to 60 in 4.0 to 4.3 seconds. But then, there’s the pinnacle of Camaro performance with the Supercharged 6.2L LT4 V8 in the Camaro ZL1, which puts 650-hp and 650 lb.-ft. of torque under your control. With this powertrain, you can go from 0 to 60 in 3.5 seconds, and you can choose an available 10-speed paddle-shift automatic transmission. This monster doesn’t just let you feel the road; it lets you own the road. One of the great things about the new 2019 Chevy Camaro is that it’s not just “the” Camaro; there are four different models with options to fit just about any sports-car driver’s needs. It starts with the LS, a beauty in its own right. The Camaro LS has a 275-hp standard 2.0L engine with a 6-speed manual transmission, or available 8-speed paddle-shift automatic. You get 18-inch aluminum wheels, a rear-vision camera, and the Chevrolet Infotainment System. Plus the electronic parking brake, StabiliTrak, and multiple airbags help keep you safe while you enjoy the freedom of the open road. Then there’s the 2019 Camaro LT, which itself has three different builds. It’s all about customization, but the LT builds upon where the LS stops. The 2LT offers luxury in the form of leather-appointed seats, dual-zone climate control, and an 8-inch touchscreen display. This makes the inside of the vehicle even more comfortable and gives you easier viewing and control over navigation and music playback. The Camaro 3LT goes even further with Bose premium audio with 7 or 9 speakers, depending on either a coupe or convertible model. The 3LT also steps up the engine to a standard 335-hp 3.6L V6 for even better power and performance. Then there’s the 2019 Chevy Camaro SS, which is where you’ll want to look if performance is what you’re really after. It starts with a standard 455-hp 6.2L V8 engine, 20-inch wheels, and 4-wheel disc brakes. You can even upgrade to the 2SS for leather-appointed seats, a Head-Up Display, and additional luxury features. Finally, there’s the ZL1, the high watermark of performance and luxury for the 2019 Chevy Camaro. You get a 650-hp 6.2L V8 engine with 650 lb.-ft. of torque, a 6-speed manual transmission, an available 10-speed paddle-shift automatic transmission, and all the luxury features and options you could want. The 2019 Chevy Camaro truly sets the standard for what you should expect from a sports car in the coming year. And Carl Black Nashville sets the standard for what you should expect when you go to buy a car. It’s not about high-pressure tactics, tricks and psychological ploys, or financing plans that set you up to fail. 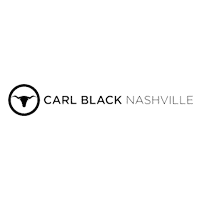 At Carl Black Nashville, we care about you and what you want and need in a vehicle. Don’t let other dealerships put you in a car that’s wrong for you, or pressure you into making a decision you’ll regret. Come down to Carl Black Nashville, check out the gorgeous new 2019 Chevy cars and trucks, and experience what car-buying should be.